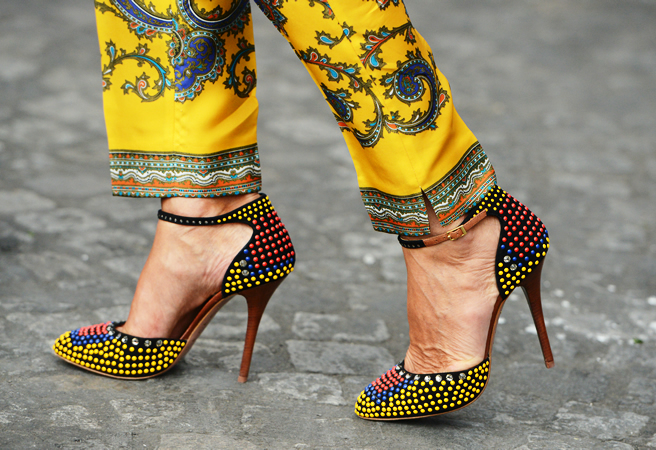 My favorite part of fashion week and couture shows is all of the STREET STYLE FASHION. The best style, color, and trends are always captured in beautiful street style photography. These photos from the Menswear shows + the Paris Couture shows are simply AMAZING. Miroslava Duma's cut out jumpsuit is simply to die for. Leave it to Anna Dello Russo to look fab in a sequined Givenchy suit with a form fitting skirt and peplum top. Can't wait to see more amazingness from the remaining collections. Hope you had a wonderful 4th of July and it's almost the weekend! Here the full show It is the first look. So inspirational! Love the images! Following you now! lets stay in touch doll! Totally agree! 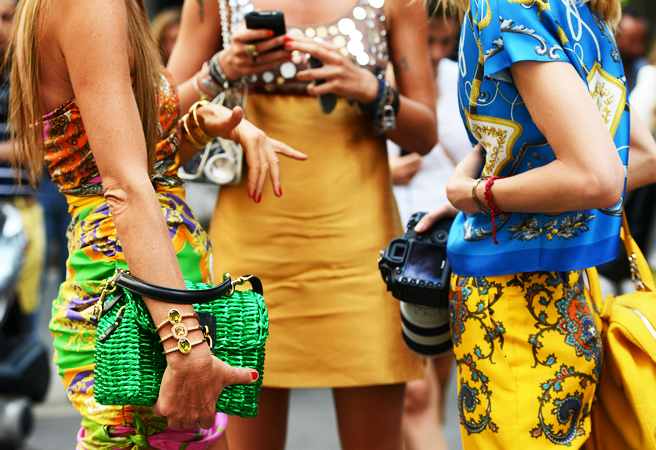 Love the street fashion, sometimes it's even better than the shows! Thanks for the sweet comments on my blog! I'm now following you! Follow back? OMG that mint green dress is to die for! My favourite part too! Sooo much wonderful inspiration here! Sooo much love for this post! I Loved the post !!! you are amazing !!! I fell in love with that black jump suit in the first picture! Love the mix printing and those colorful heels. This pics are very interesting and inspiring! I follow your blog on GFC, kisses and happy weekend! So many inspirational outfits! Lovely photos!